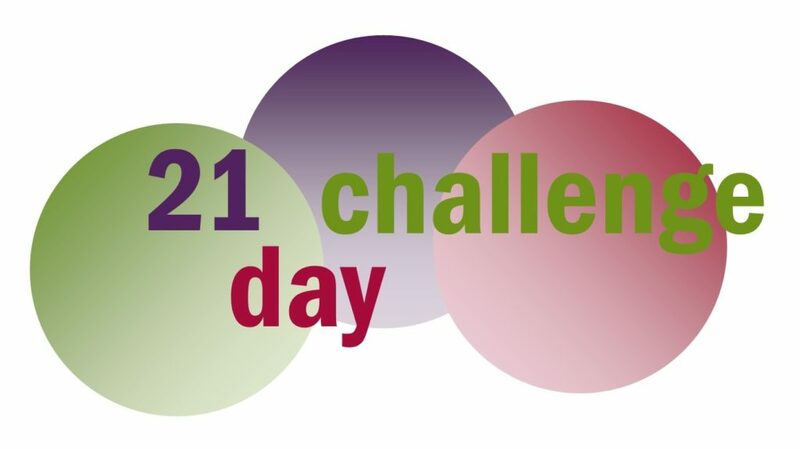 The Resilience and Wellbeing Network has run a series of 21-day challenges over the last two years. Member organisations have also run their own challenges for employees as part of their wellbeing interventions. These have ranged from the physical – climbing the 3 Peaks, writing with your non-dominant hand for 3 weeks – to the mental – being more mindful of your surroundings – and the emotional – taking the time to check-in properly with other people and finding things to be grateful for each day, to deepen relationships and understanding. What they’ve all had in common is that they tackle wellbeing and resilience in one of the 5 ways to wellbeing identified by the New Economics Foundation. The reason we picked 21 days is because that’s at least how long it takes to form new habits and create lasting change. Doing something for 21 days gives you enough time to see the benefits, so you have conscious and unconscious incentives to carry on. The brain’s plasticity means that it’s always possible to learn new habits – however old you are – and the more we practise doing new things, the more we stay adaptable and resilient to change. Remembering to do something every day encourages mindfulness. And research shows that as well as being fun and increasing confidence, the act of learning in itself has a positive impact on wellbeing. It’s really hard to form new habits. It’s really hard to stick to something, even when you are really motivated. And it’s really hard to remember to do something new, in the middle of our busy lives. Contract with yourself to set an internal sense of commitment: don’t have a vague plan. Make it realistic, and achievable. Make it measurable, so you know exactly when you’ve achieved it and when you haven’t. “Do more exercise” is never going to work – “walk for 30 minutes each lunchtime” is much more likely to happen. Write down that you are going to do it, or tell someone else: both ways of making your commitment concrete and ‘out there’ in the world. You can then write or talk about how it’s going once a week. This builds in reflection time so you will get the most from the experience. Tie it in to another habit. Have two minutes of meditation while you wait for the kettle to boil. Check in with everyone else in your team as soon as you arrive at work. Do something first thing or last thing – if you attach it to something you’re already in the habit of doing, it will make it much easier to remember. Do it with a friend and compare how it’s going: talk to each other, support each other, motivate each other and hold each other accountable. Don’t make it easy for the other person to get out of it. Decide at the start how you are going to celebrate when you’re successful: being able to picture that cold glass of wine, new pair of shoes or day out with your family will motivate you when times are tough. Make sure you pick something very specific – it doesn’t have to be a big thing – so you can imagine it in detail. And then make sure you do it at the end of the challenge. How did the challenges affect us? Within Oasis several of us have taken part in challenges. In the mindfulness challenges we noticed that consciously taking a few minutes out of the day to change gear and pay attention to what was going on around us, was refreshing and calming. It helped us tap into different parts of our brain – increasing creativity, reflection and planning time. It increased our sense of ‘being in the moment’ which is calming and improves resilience and wellbeing. One thing we noticed was that taking part wasn’t easy. Sometimes we forgot what we were supposed to be doing, or did it for a few days and then it petered out. This can lead to a sense of failure – but we all felt it was important to use this as a learning experience, to note what had gone wrong and why, and then move on – without beating ourselves up!